With Thanksgiving fast approaching and my menu planning under way I thought I would revisit a few of my Thanksgiving favorites! 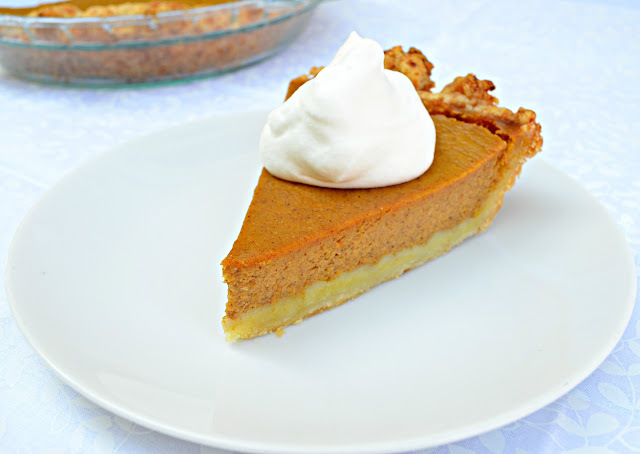 This is defiantly one of my favorite pies and will be hitting the dessert table this year! If this doesn't make the cut Colt usually act's like he's dying! It really is a fabulous Pumpkin Cheesecake that will only improve after left in the fridge overnight! Nice and light and not overly heavy! I personally am struggling trying to decide will it be cheesecake this year or Skinny Pumpkin Pie. I really am lying to you right now because in my heart of hearts I know Colt will use his gorgeous blue eyes and have me convinced to make both! It happens almost every year! Well except the year L.J. was born Colt went as far as to make it himself, since L.J. was born only 3 days before Thanksgiving! The morning I went into labor I was actually in the kitchen trying to make cranberry sauce just in case, needless to say by one in the afternoon we were holding our bouncing baby boy! Funny thing is I went into labor with Lorna making Banana Bread. Right as I was about to put the bread in the oven my water broke and I refused to go to the hospital until the bread was done! I think I terrified my husband! The funny thing about this was I wasn't lucky enough not to start contracting right away! I went from braxton hicks to full force labor! I guarantee you will not be able to tell the filling has been reduced in calories! Why can I guarantee this you ask? It was Colt approved and he defiantly tells me if somethings not up to par! I know whip cream isn't skinny but hey it's Thanksgiving! I won't tell if you don't! Last but not least making it's appearance on the dessert table is Banana Cream Pie. This is always a favorite in our house and one of my Dad's favorite desserts! The funny thing is I always think I make a lot of pies but I think most years my Granny would make at least 6 pies. 2 Apples Pies, Key Lime Pie, A Mince Meat Pie for Granddad and Aunt Char, Cherry Pie and just about any other pie someones heart desired that year! She was a Superwoman! 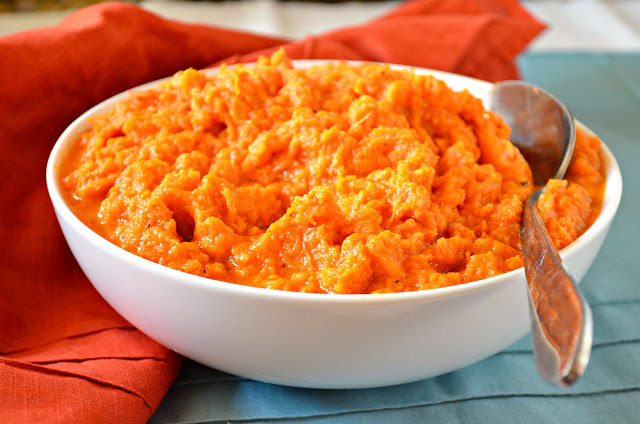 This is a fabulous side if your looking for something other then the normal Thanksgiving mashed potatoes and the kids love them just as much in our house! Mouthwatering menu. This is going to be a blast of flavors on Thanksgiving. Lovely and scrumptious. Carb Fest. I love them all! Delicious roundup, Hope you are going to have great dinner for this thanksgiving. Lol, I can't believe you continued to bake :) So funny! We're way past Thanksgiving but I'm voting for cheesecake (and actually we're not holding my family Thanksgiving till this weekend) so I'm double voting for pumpkin cheesecake!